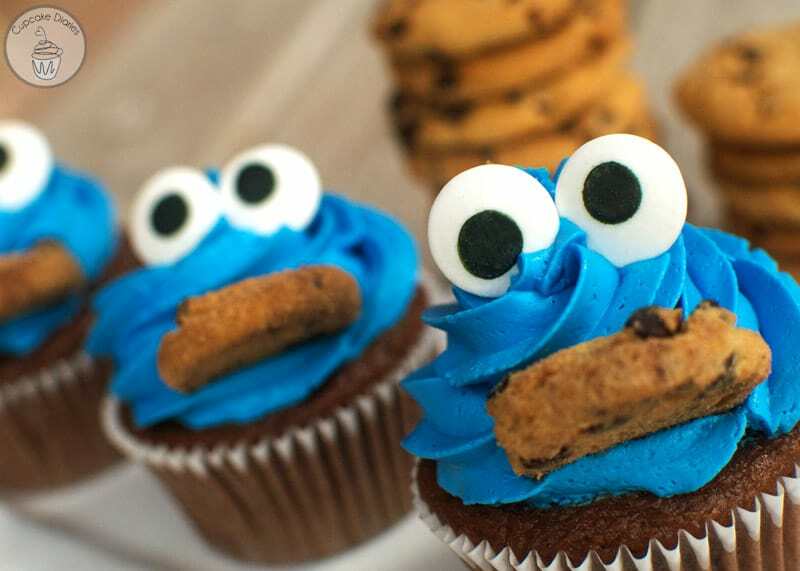 My youngest turned one way back in September and we had a Cookie Monster party for him as a family. 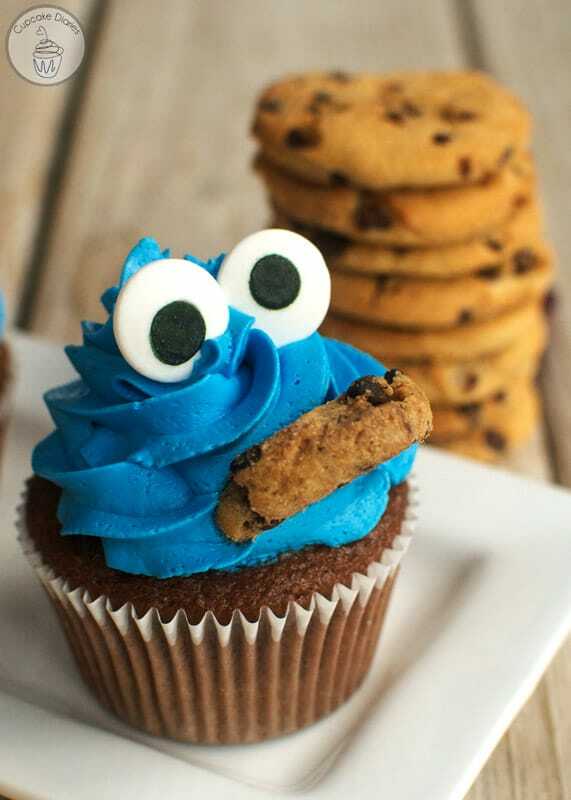 My kids love Sesame Street and Cookie Monster is one of their favorite characters. It only seemed right to focus his little party around that furry cookie fanatic! 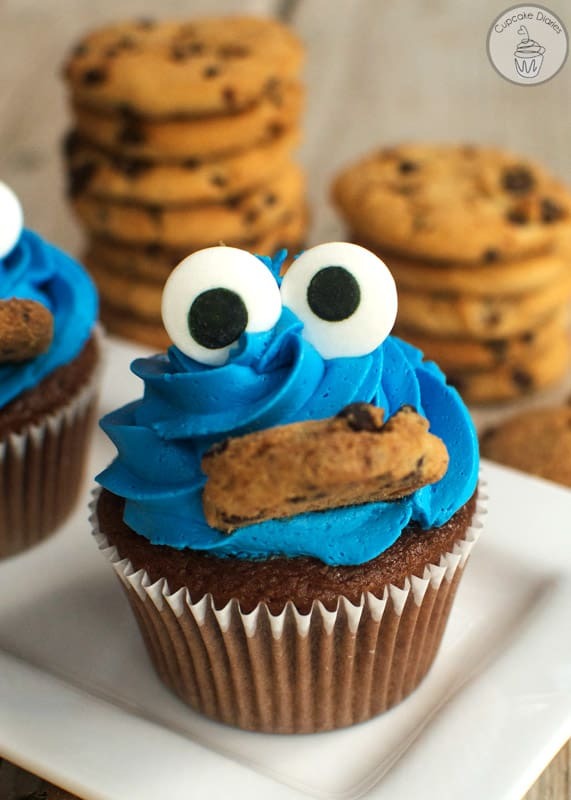 These cupcakes are perfect for a Cookie Monster party because they’re so easy to put together. No crazy piping of fur or drawing on silly eyeballs. They’re one of my favorite cupcakes I’ve made. And my kids thought they were hilarious. Preheat oven to 350°F. Place cupcake liners into muffin cups. Place cake mix in the bowl of an electric stand mixer. Add buttermilk, oil, and eggs. Mix to combine well. Fill cupcake liners 2/3 full and bake for 15-17 minutes. Remove from oven and set cupcakes on cooling rack to cool. Prepare the frosting by placing the butter in a medium/large bowl. Beat the butter with a mixer until nice and fluffy. Add a small amount of food coloring. Add the powdered sugar about a 1/2 c. at a time till well combined with the butter. Then add the almond extract and marshmallow fluff. Add more food coloring if a darker blue is desired. Place the frosting in a 16oz frosting bag fixed with a Wilton 1M star tip. Pipe frosting evenly over cupcakes in a swirl motion and top with two candy eyeballs. Then press a cookie into the front of the frosting. 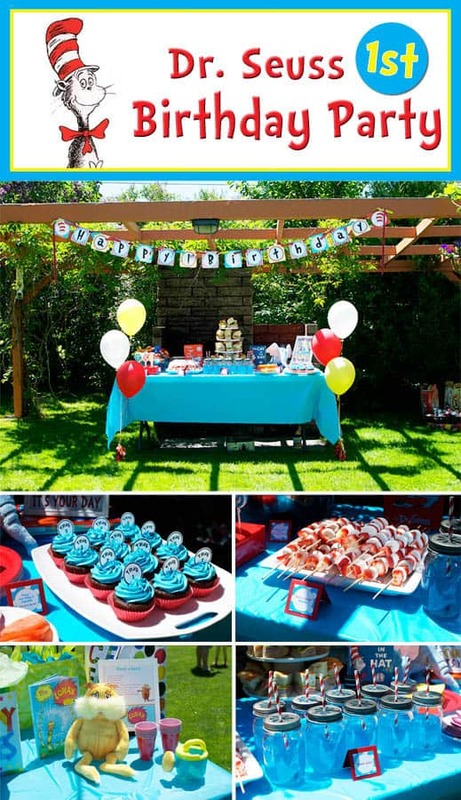 Here are more of my favorite themed birthday party ideas! 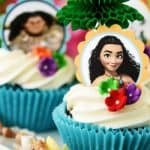 These cupcakes are so much fun! I showed my boys and they thought they were so awesome! They love cookies and cupcakes so this was a dream to them! I can’t wait to make it for them sometime. 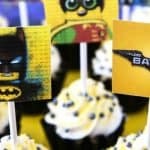 I made these this weekend for my daughter’s Sesame Street-themed birthday party and they were a huge hit! 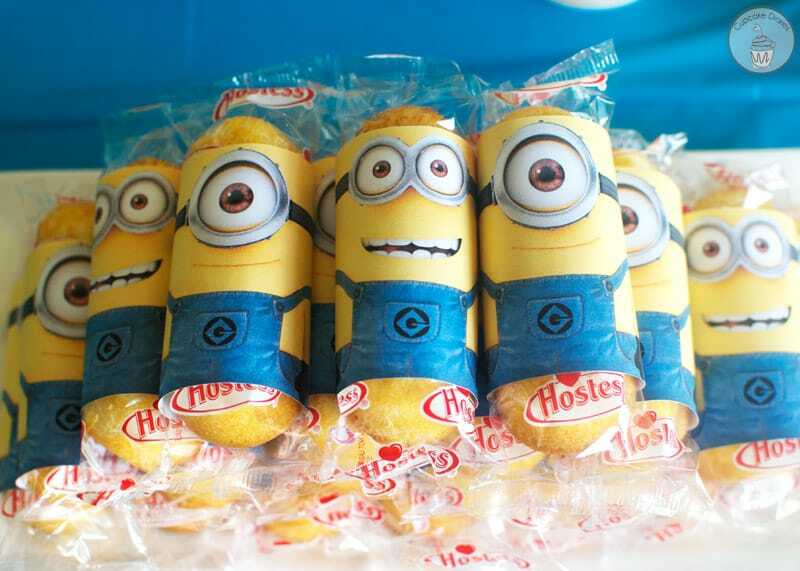 They were simple to make and delicious! 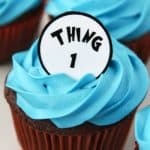 I am going to save this frosting recipe to make with a bunch of other stuff in the future – it’s delicious! Carrie, that’s awesome! Thank you so much for your comment. I’m glad everyone liked the cupcakes! It gives it a stellar flavor! 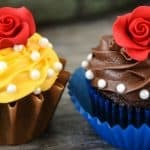 I love this recipe for cupcakes and cakes. It’s so yummy.